We won't be having a Monday Challenge today, but will start up again next week. I can't wait to show you the cute cards my DT has been working on for the next challenge! My parents gave us a really nice ice cream machine for Christmas, so I thought it would be fun to make them a thank you card that went with their sweet gift! I couldn't pick just one patterned paper, so I decided to make 4 thank you cards (you can never have enough thank you cards!) and then I will send them my favorite one. All of the sentiments on these cards come from the Thank You stamp set. There are soooo many fun combinations in this set! 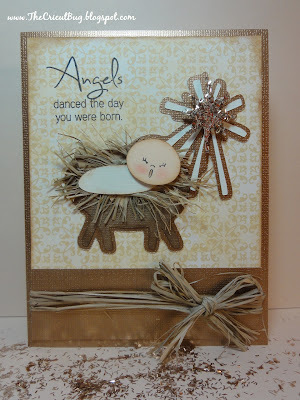 I tied the sentiment tag on with Olive jute string. For the cones, I ran the light brown pieces through my cuttlebug and then inked them with brown ink. 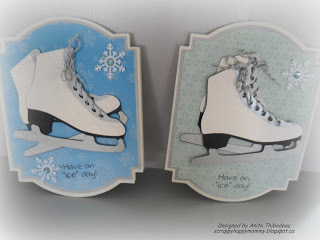 I used my corner rounder on some of the sentiments to match the rounded lines of my shape cards. I used brown ink on part of the sentiments and red (SEI) ink on others. I think it looks fun to mix and match! For this card, I just stamped the sentiment right on the ice cream cone. I wanted green for the strawberry top, so I cut the the 'chocolate syrup' layer a second time from green and then hand trimmed the top off. I cut all of these at 5 inches from the Sweet Treats cartridge. Have a very happy and safe New Years!! Hello! Heather here from Houses Built of Cards. For those of you who didn't know, this year we moved away from all our family and friends - about 1,000 miles away! So this year was our first Christmas on our own. Until the evening of Christmas Eve, we thought we would just be home by ourselves on Christmas Day - which would have been a bit strange since we both have a rather large family and have never spent that day away from them. But when we were at our church Christmas Eve service, another family invited us over to share Christmas Dinner with them. It was such an incredible gift - and a huge blessing! So I wanted to make a thank you card for them - to let them know how blessed and thankful we were for their kindness. I used one of my favorite My Craft Spot stamp sets on this! 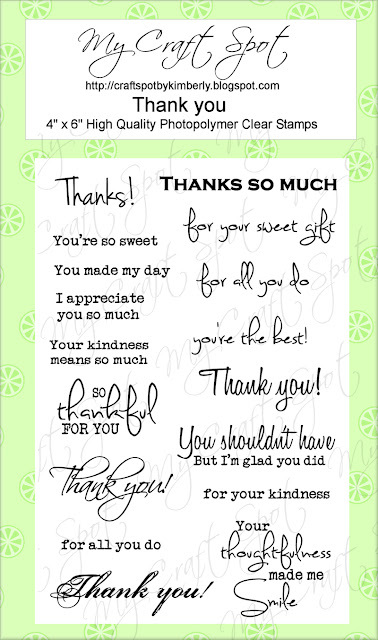 So perfect for thank you cards for any occasion! Here is a closer view of the beautiful sentiment! I always love how beautifully and clearly they stamp! If you want more info and details - feel free to drop by my blog, Houses Built of Cards, and pay me a visit! Winners From Challenge #80 - Christmas Shape Cards!! We had so much fun looking at all of your awesome Christmas shape cards! Thanks for joining the fun!! You won the White Christmas Stamp Set! I hope you all had a wonderful Christmas surrounded by loved ones! The pretty patterned papers are all from My Minds Eye (Holly Jolly 6x6 pad). I tied the tag on with Olive and Natural jute string. I added brads for buttons and cut the tag using the Tiny Tags metal dies. The sentiment on the tag is from the Tiny Tags 2 stamp set. I cut the snowman and deer at 2.5" from the Snow Folks cartridge. Hello everyone! GiGi here again from The Cricut Bug to share a card I made using My Craft Spot's Bundle Of Joy stamp set. YES, Bundle Of Joy! Christmas is only a couple of days away now and sometimes we forget the true meaning of Christmas. I know I do. We get caught up shopping for that perfect gift, making the best meals, etc. So I wanted to share this card, a reminder to me what it's truly about. First off I have to tell you that this card is SO much prettier in person. I tried and tried to get a really good picture, but it just wouldn't come out any better than this. 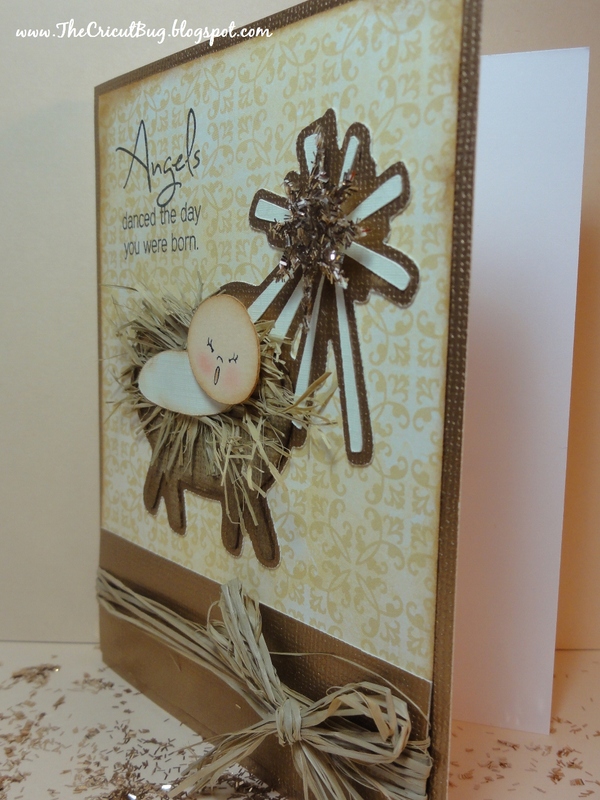 The manger scene was cut from Winter Frolic and I used lots of embellishments on it. I stamped the face with a Peachy Keen face, added chunky glitter to the star, and a added shredded raffia for the hay in the bed. The shadow layer and the card base were cut from metallic gold paper. I inked the edges of the cream background and added a metallic gold strip at the bottom with a raffia bow. To finish, I stamped the sentiment from My Craft Spot's Bundle Of Joy stamp set. 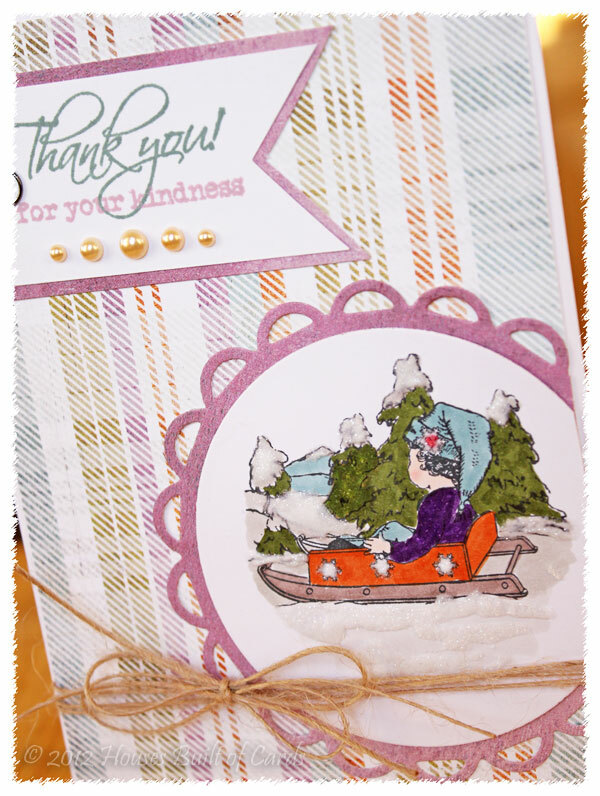 What a perfect sentiment for this card, wouldn't you agree? I want to wish you all a MERRY CHRISTMAS and HAPPY NEW YEAR! Thank you so much for stopping in today and if you would like to see more of this card, please visit me at The Cricut Bug. HUGS! Just 4 more days until Christmas and I have a last minute gift box idea for you! I have two posts today. Click HERE or scroll down to see how Ally dressed up a white envelope for gift cards! 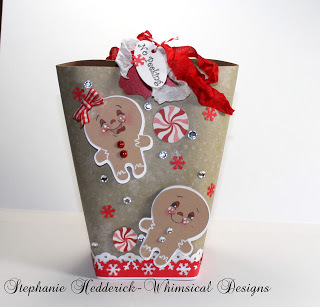 I used a pre-made craft gift box and just added patterned paper. 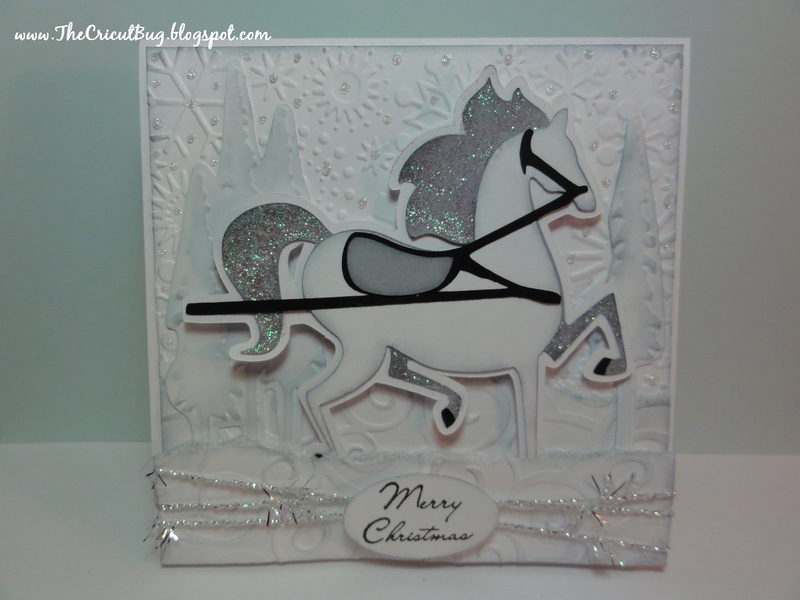 The stamped sentiment is from the Mistletoe stamp set. I wanted the sentiment to be the focus of this design. I tied Olive and Natural jute string around the front panel of this box. 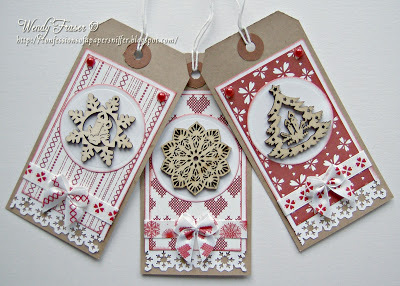 I cut the medallion and circle using the Lacy Banners metal dies and then stamped the mittens using the Stampin' Around Christmas stamp set. The patterned paper is all from Teresa Collins Christmas cottage collection and I inked everything with walnut distress ink. Hi everyone! This is Ally from Rock Paper Cricut, here with a cute packaging idea I came up with for those gift certificates you want to give. Most gift certificates fit in legal sized envelopes. I wanted to *dress* mine up a bit. From a plain white envelope, to a cute little gift. 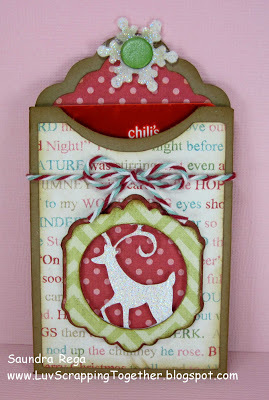 I used the new *Lacy Banners* metal dies paired with the *Chunky Alphabet* by My Craft Spot for the banner. 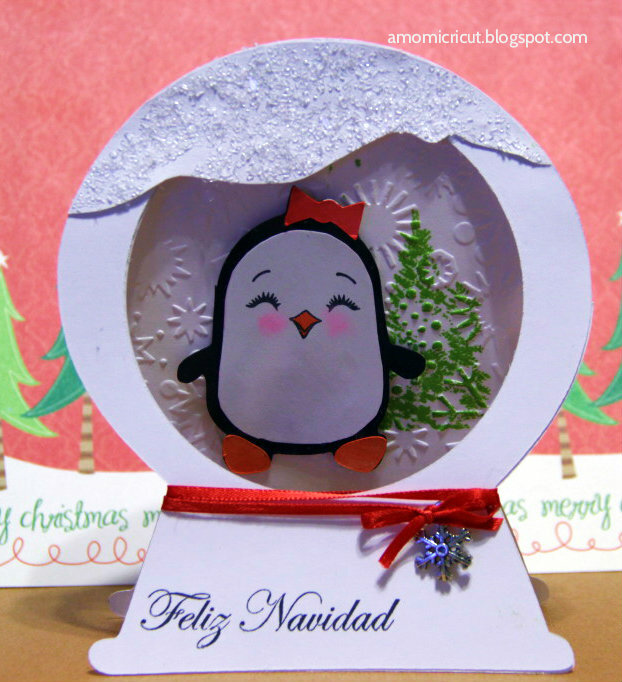 The cute little Santa owl is from the Winter Frolic Cricut cartridge on page 37 cut at 2.25". I stamped the *Merry* from the *Joy To The World* stamp set. I also added a traditional red twine bow at each end of my banner. These are so quick, cute, and easy to make!!! Here are the envelopes I started with from Staples. Hello everyone! This is GiGi from The Cricut Bug to share a card with you. 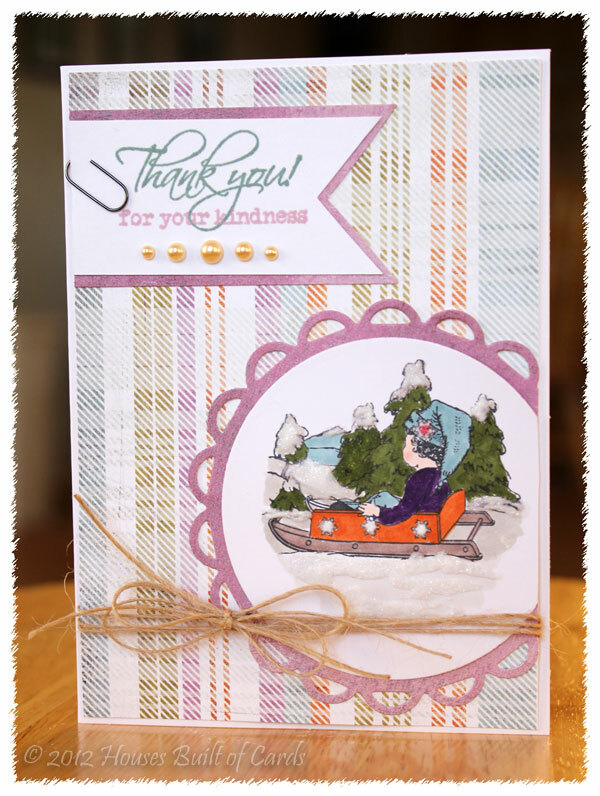 I used My Craft Spot's Joy To The World stamp set on this card. I have been trying to get some last minute cards done and I can't believe that Christmas is less than a week away! This is my attempt at a white on white card. Every time I see one, I think to myself, how pretty! 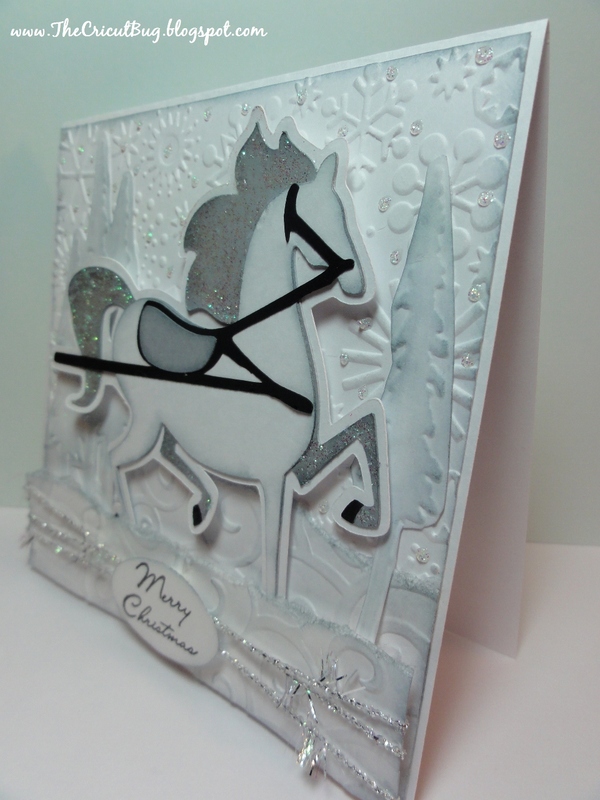 This card has LOTS of embossing and dimension. I used 3 different embossing folders for this card and cut the horse from Winter Woodland. 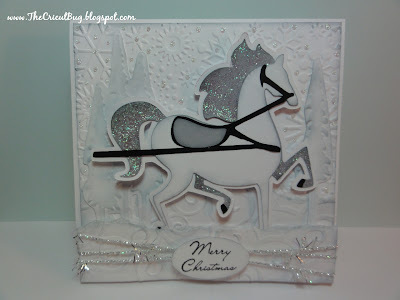 I added some glitter stickles to the gray parts of the horse and popped him up along with the snow at the bottom. I tied some silver tinsel trim around the bottom, punched the oval, and stamped the sentiment from My Craft Spot's Joy To The World stamp set. I hope you all enjoyed seeing my card and if you would like to see more about it, please come visit me at The Cricut Bug. Have a great day! Winners from challenge #79 - Wrap it up! 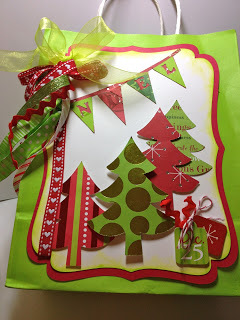 We had so much fun looking at all of your Christmas packaging ideas! Thanks for joining the fun!! You won the Winter Wonderland Stamp Set! Less than one week until Christmas! I love this cut from the Snow Folks cartridge! This is a 4.5" x 4.5" card and I used a corner punch to round the corners. The stamped sentiment is from the 'Tis the Season stamp set. I love that you can curve these stamps on your block! I added a metal snowflake brad to the center of my paper snowflake. I cut theses snow ladies at 3.5". I inked the edges of all pieces with walnut and antique linen distress ink, then chalked the cheeks. All of the patterned paper is from My Minds Eye (Holly Jolly 6x6 pad). Merry Christmas! It really is the most wonderful time of the year! Winners from Challenge #78 - Merry Christmas! Monday Challenge #79 - Wrap it up! DT post by Gwen - No Peeking! DT post by Gwen - There's Snowone quite like you!